Best Location in Savannah; Walk to Everything. Jetted Tub. Parking Garage. Be sure to click on the video tab next to the photo tab. 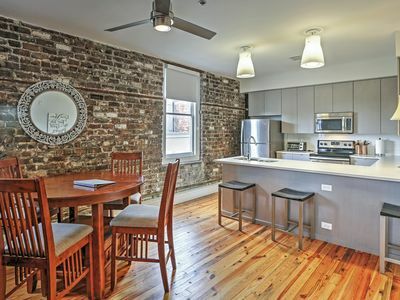 This contemporary, luxurious, high-end loft condominium is located in the center of the beautiful historic district of downtown Savannah. 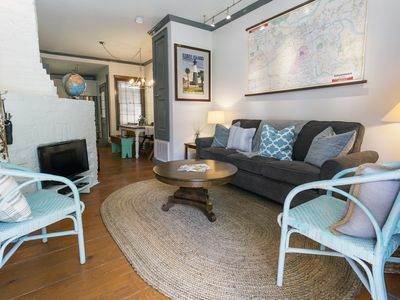 It's one block from 'City Market' and within walking distance of all of Savannah's many attractions as well as SCAD (Savannah College of Art and Design). Off street parking garage is available. 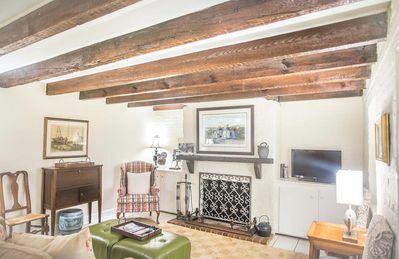 Strategically located in the heart of the historic district of Georgia’s first city, this immaculate property is surrounded by historic landmarks, countless restaurants, lounges, tours, museums and shopping. The interior of this fully furnished condominium was completely renovated in late 2007 when the historic Whitaker Place Building (circa 1890) was converted to eight high end residential condominiums on the upper two floors and retail space at street level. 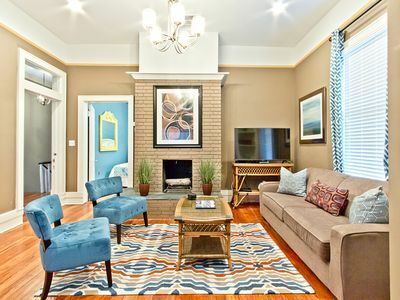 Enter the private residential lobby and you’re an elevator ride from the excitement of Broughton Street to your own luxurious two bedroom condominium with sixteen foot ceilings, beautifully restored 100 year old hardwood floors, and tons of natural light from huge windows overlooking downtown Savannah. 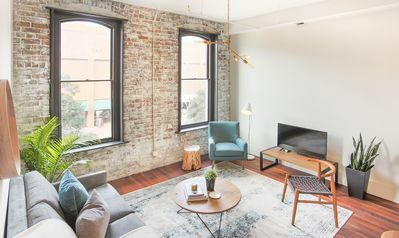 This unit offers great views of Broughton Street (Savannah’s Main Street), and Whitaker Street (one of Savannah's best Streets for reastaurants and nightlife). Just around the block, is Telfair Square (one of Savannah’s 24 historic squares, each named after a person or event important to the history of Savannah). Monuments, statues, and sometimes graves are found in these squares, each a mini-park with open grassy areas, Spanish-moss laden trees, brick walkways, and plenty of park benches, all surrounded by incredible homes, buildings, and churches). 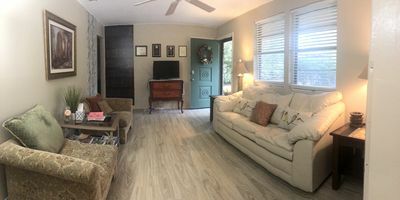 The condo has two bedrooms with King beds, two full bathrooms, large open areas for entertaining, a very comfortable futon, a large sofa, and sleeps four to six people. 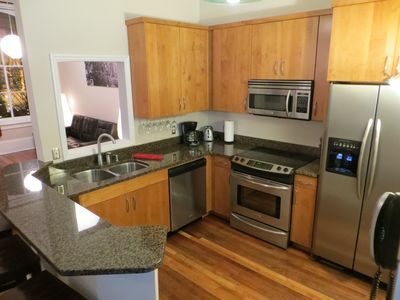 The unit offers a custom gourmet kitchen with granite countertops, stainless appliances, jetted tub, 46 inch flat screen TV, Direct TV, DVD/CD players and high-end audio equipment. Visiting SCAD (Savannah College of Art and Design) or vacationing in Savannah? 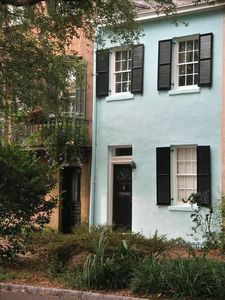 The Whitaker Place Building is the perfect location from which to base your Savannah visit. Catch a sightseeing trolley in City Market (located on the same block), or walk two blocks to River Street for a day of fun-filled shopping. 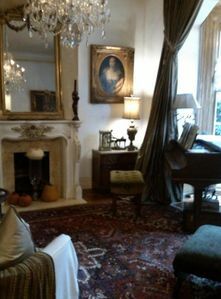 Ghost Tours, trendy boutiques, theaters, museums and local artists' galleries are all within walking distance. You will be just a few footsteps away from many of Savannah's very best restaurants including the famous Pink House, The Grey, Pacci, 45 Bistro, a.lure, Garibaldi Cafe, Alligator Soul, Ruth's Chris, Vinnie Van Go Go's, The Collins Quarter, Circa 1875, Jazz'd, Cha Bella, and the list goes on. The SCAD (Savannah College of Art and Design) campus is spread throughout the downtown area and you will be in the center of it. Parking is available in a brand new secure garage one block away from the condo. 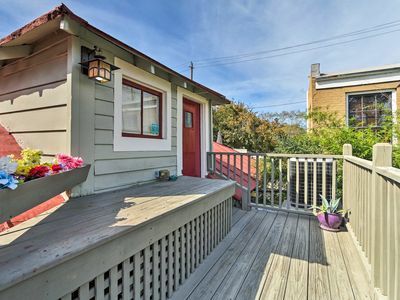 The good news is that once you are here you will never have to get into your car because anything and everything is just a few footsteps away from this perfectly located loft. Charming and Spacious Home with Perfect Location!